Figuring out what I should write about in my blog this month really was a no brainer. It’s not every month that I have a new book about to hit the shelves (Friday 28th March 2014). So from April onwards, if you happen to be passing a WHSmith’s then please do consider popping in. 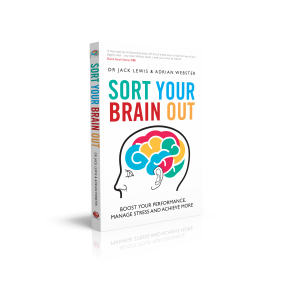 You should find Sort Your Brain Out prominently displayed in the Non-Fiction and Business charts. If you can’t find it then please drop me a line! Although we have specifically targeted the business market in the first instance, primarily due to their familiarity with my co-author’s previous work, this truly is a book for everyone. We hope that business professionals will decide that other members of their family would also benefit from reading it and pass it on; whether the recipients are their children – to help them get the most out of their brains to achieve more in their education, or their own parents – to help them get the most out of their brain during the post-retirement years. In fact, the book has been carefully put together to ensure that readers of all ages will be able to get something out of it. Happily we’ve already had some feedback that suggests we have been successful in achieving this goal. If you fancy flicking through a few select pages, or perhaps even pre-order a copy with a 30% discount, then please click here to see it on Amazon. We are encouraging people to tweet photos of Sort Your Brain Out when they find it in the wild with the hashtag #SortYourBrainOut or #SYBO for short – we’ve been made aware of sightings all over the UK and the world – from Jamaica to Hong Kong and Cornwall to Edinburgh. This is my first foray into the world of publishing. Strictly speaking it’s the second book I’ve ever written, if you count my Ph.D. thesis. However I doubt whether more than a handful of people have ever pulled it out of the vaults of the University of London library in Senate House. For most readers it would be pretty incomprehensible anyway what with being laden with complex scientific terminology. The whole point of Sort Your Brain Out is to make the latest neuroscience accessible for everyone, not just the science enthusiasts. So with this in mind, for my first published book, it only seemed appropriate to co-author it with someone who has extensive experience in writing books that everyone can get something out of. And a few years back, thanks to a fortunate twist of fate, I met the perfect collaborator. Adrian Webster and I both contributed as motivational speakers at a conference in Tenerife in 2011, presenting me with the perfect opportunity to forge an alliance with a truly exceptional individual. An internationally best-selling author, his first book Polar Bear Pirates was a massive hit. It is very unusual to see a business book packed full of cartoon characters, yet this unorthodox approach may well be precisely what made it resonate with such a broad audience. 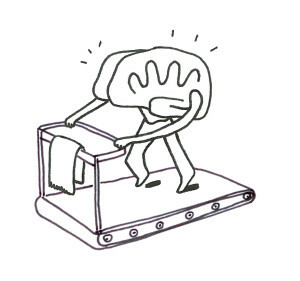 We’ve tried to reproduce this effect with a handful of illustrations commissioned for Sort Your Brain Out. For a sneak preview: click here. Over more than a decade Adrian has been one of Europe’s most popular and influential motivational speakers. His uncanny ability to spin a yarn in an entertaining yet impactful way, leaving audiences not just spellbound by his performances but also much wiser about how to get the best out of themselves at work is unparalleled. He distils many years of experience in the workplace into witty/moving anecdotes and wise observations about how best to motivate ourselves and those around us. Here’s a quick taste of his speaking style brilliantly animated by some young and very talented animators. 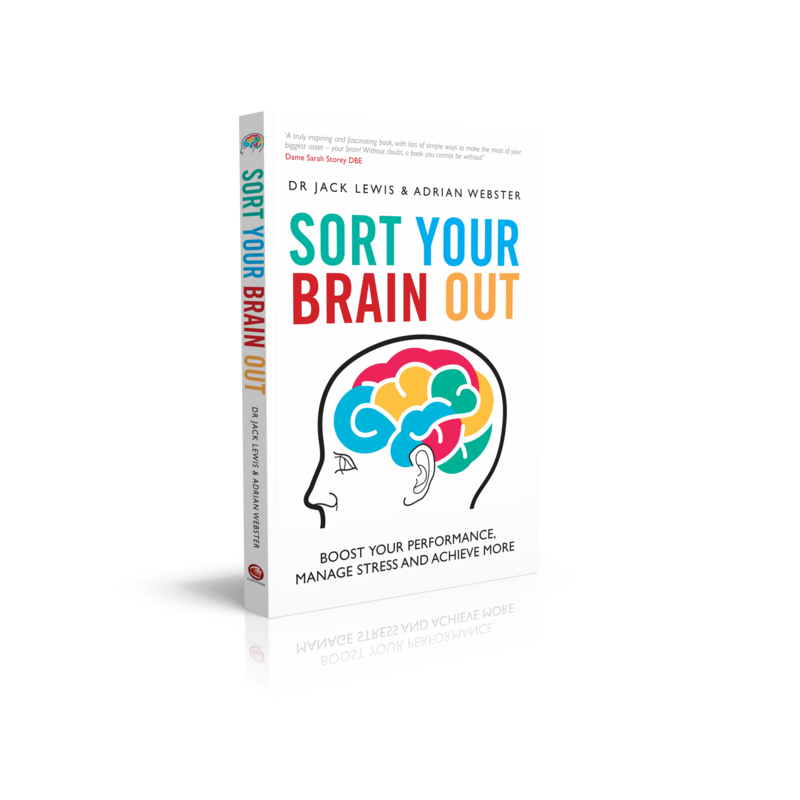 Our book Sort Your Brain Out aims to make what modern neuroscience has discovered about the strengths and weaknesses of human brain function accessible to the broadest possible market. 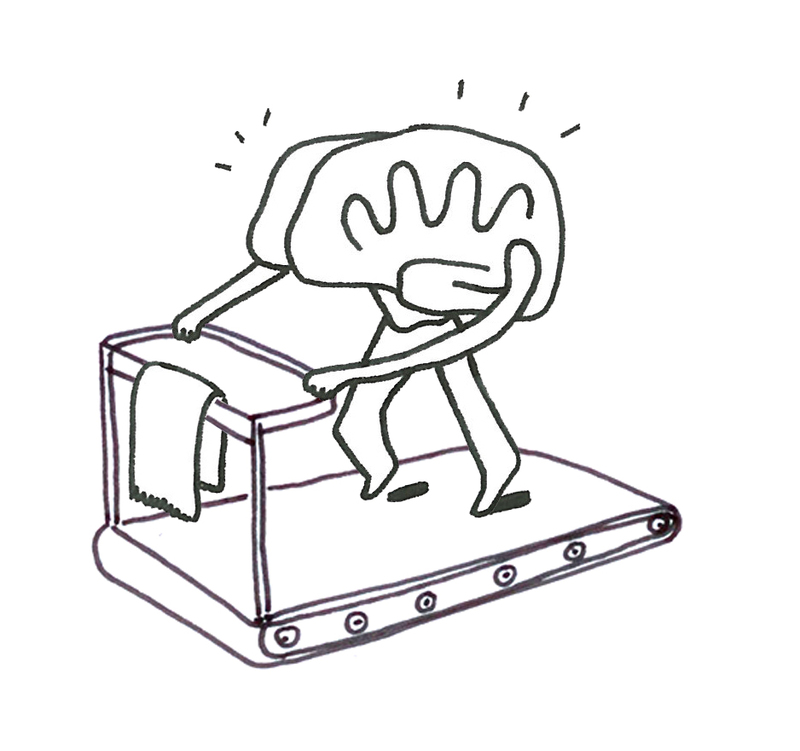 We wanted to provide some powerful insights into how to get the most out of your brain, whoever the reader happens to be. After all, every one of us has a brain, but it doesn’t come with a user guide. So we thought we’d pen a book that illuminates what’s going on within our skulls and what brains need to function optimally. The Sunday Express kindly published an article we wrote to support the launch of the book and the following Monday we got a mention in the Daily Express. We also penned a short article on how to stoke the fires of creativity which you can also read online. If you do decide to purchase a copy we’d be really grateful if you’d find time to review it on Amazon.